PUPILS all over Mzansi are writing their end of year exams. Except at Lusito School in Joburg. At Lusito no pupils write exams and the school follows its own curriculum. The special school does not even have grades like other schools because they cater for pupils with cerebral palsy, learning disabilities, traumatic brain injuries, Down’s syndrome and more. Principal Deolinda Molina said the school also does not have an age limit. Molina said that the pupils function better like this because they won’t cope in a traditional school. The purpose of Lusito is to provide its pupils with a good academic foundation, make sure they get regular exercise and eat healthily. Pupils benefit from a range of specialised activities such as speech therapy, physiotherapy, reflexology, hydrotherapy, pottery, baking and music. She said diet is also critical. “We also encourage parents to cut sugar out of their children’s diets but of course we cannot monitor this. “We also give our pupils lots of time to eat because we don’t want to force them. “Some pupils have dietary needs that we can’t supply. One of the latest projects at the school is the pupils’ vegetable garden where they grow food. Whatever is not used in the school’s kitchen is packaged and sold to parents or visitors. 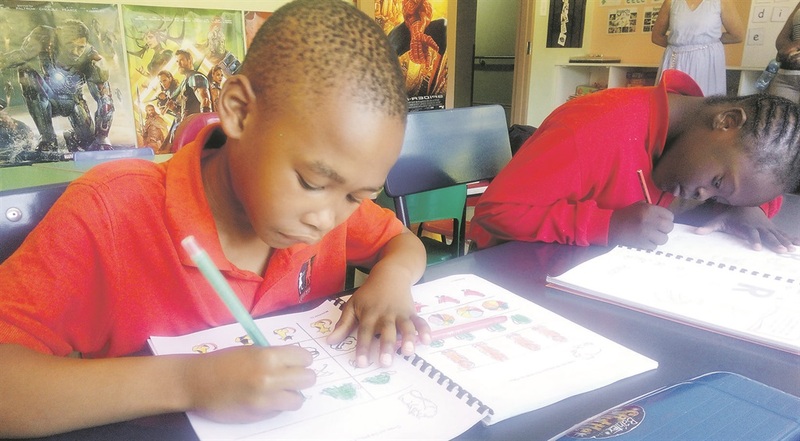 Lusito’s curriculum incorporates perceptual and life orientation programmes, including listening, reading, mathematics, personal development, social skills, survival and safety skills, independent living skills, work and entrepreneurial skills and more.